BE PURE: Snowflake Obsidian is said to be the stone of purity. It can help cleanse your body, mind, and spirit of negative energies and provide balance. 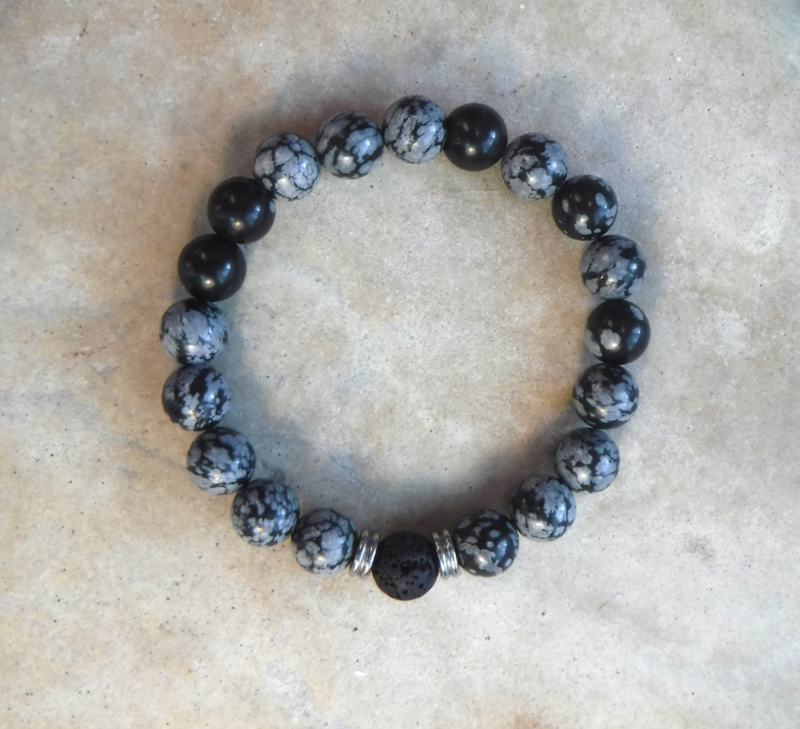 There is one lava stone, representing the total you. These are natural stones and bracelets will vary in size, shape, and colour. Typical size is between 6.5-7 inches around (they do stretch). If you need a different size, please let us know.